Babette Ten Haken leverages storytelling for STEM professionals and the other left brain thinkers in your organization to catalyze customer and stakeholder retention. 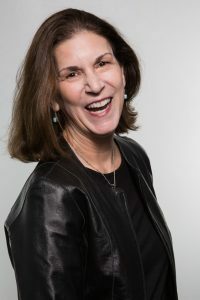 Her One Millimeter Mindset™ keynotes and workshops uncover unprofitable communication disconnects in organizations with multiple disparate or siloed groups, especially in industries with technically-focused stakeholders. In today’s digitally connected workplace, machines and software often communicate more compatibly than their human counterparts. It doesn’t have to be that way, anymore. An award-winning author and blogger, Babette’s speaking programs leverage her Sales-Engineering Interface® toolkit and techniques. Discover how to start telling the stories your stakeholders and customers really need to hear. Babette Ten Haken’s One Millimeter Mindset™ workshops and speaking programs are forged by her own background as a STEM design thinker, Six Sigma Green Belt and Voice of the Customer facilitator. Babette led teams simultaneously requiring left-brain, analytical mindset for clinical research and e-commerce, as well as right-brain thinking for new product development, market research and sales. Babette is a member of SME, ASQ, SHRM and the National Speakers Association. She is VP-Elect of the Michigan Chapter of the National Speakers Association. Her collaboration playbook, Do YOU Mean Business? is available on Amazon.com and was named a Top Sales World Top 50 Sales Book (2015, 2017, 2018). She is a Cloud Top 100 Global Power Influencer, a Top 100 Top Sales Performance Guru and a Top Sales World Top 50 Marketing & Sales Influencer & Blogger, 2013-2018. Book Babette Ten Haken to speak at your next event or conference! Contact Babette at: +1 734.355.1118 and babette@babettetenhaken.com. Her professional speaker profile is on the espeakers.com platform. To provide more information about your event, please complete the Contact Scheduler Form by clicking here.